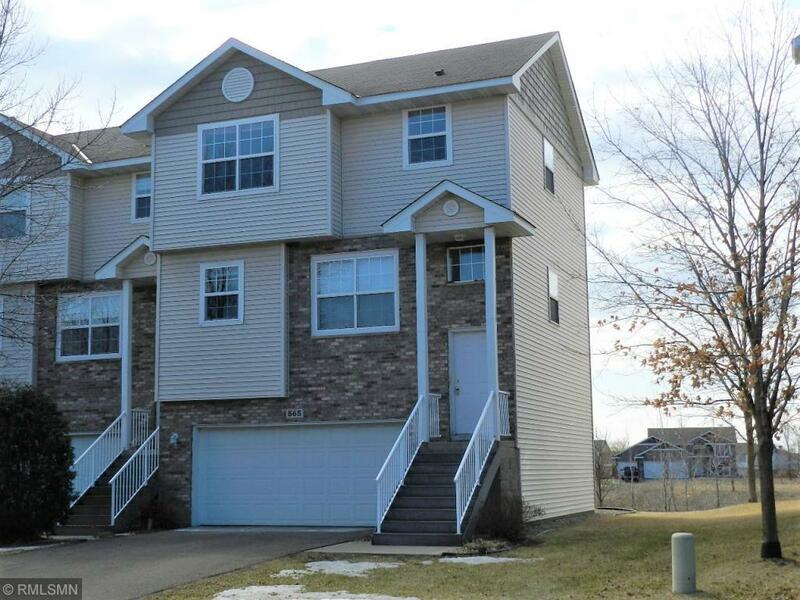 2 bedroom, 3 bath, 2 stall garage, 1300 finished sq ft. Townhome Villa located in the Wrights Crossing Addn. Features: 9 ft ceilings, custom lighting, deck & concrete patio, custom oak cabinets with breakfast bar, Â½ bath on main, two spacious bedrooms, full bath & laundry facilities in upper level. Master bedroom features large picture window, vaulted ceiling plus private Â¾ bath. High efficiency forced air furnace & central air conditioning. All appliances included plus washer & dryer. Located one block from a beautiful City of Big Lake park with picnic area & playground. Near Northstar commuter rail!